Belhaven University is accredited by the Southern Association of Colleges and Schools Commission on Colleges (SACSCOC) to award associate, baccalaureate, master, specialist, and doctoral degrees. Contact the Commission on Colleges at 1866 Southern Lane, Decatur, Georgia 30033-4097 or call 404-679-4500 for questions about the accreditation of Belhaven University. Students who want federal (and sometimes state) grants and loans need to attend a college, university, or program that is accredited. Employers ask if a college, university, or program is accredited before deciding to provide tuition assistance to current employees, evaluating the credentials of new employees, or making a charitable contribution. The federal government requires that a college, university, or program be accredited in order to be eligible for federal grants and loans or other federal funds. State governments require that a college, university, or program be accredited when they make state funds available to students or institutions and when they allow students to sit for state licensure examinations in some professional fields. School of the Arts - Belhaven University is one of 36 institutions accredited in all four of the major arts – music, dance, theater and visual arts. The Department of Music is an accredited institutional member of the National Association of Schools of Music (NASM). The Department of Visual Arts is an accredited institutional member of the National Association of Schools of Art and Design (NASAD). 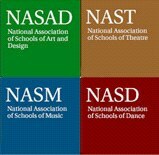 The Department of Dance is an accredited institutional member of the National Association of Schools of Dance (NASD). The Department of Theatre is an accredited institutional member of the National Association of Schools of Theatre (NAST). School of Business -Belhaven University has received specialized accreditation for its business programs through the International Accreditation Council for Business Education (IACBE) located at 11374 Strang Line Road in Lenexa, Kansas, USA. A complete listing of the current status of accredited business programs at Belhaven University can be found at http://iacbe.org/memberpdf/BelhavenUniversity.pdf. The School of Business report of Public Disclosure of Student Achievement for the most recent year can be accessed here. School of Education – The School of Education is approved by the Mississippi Board of Education to offer teacher education programs. The programs are reviewed annually by the State Department of Education to ensure state standards are met in accordance with the Council for the Accreditation of Educator Preparation/State Partnership protocol for continuing accreditation. The School of Education Title II Reports can be accessed here. School of Nursing - The School of Nursing’s baccalaureate degree in nursing (BSN) is accredited by the Mississippi Board of Trustees of State Institutions of Higher Learning. 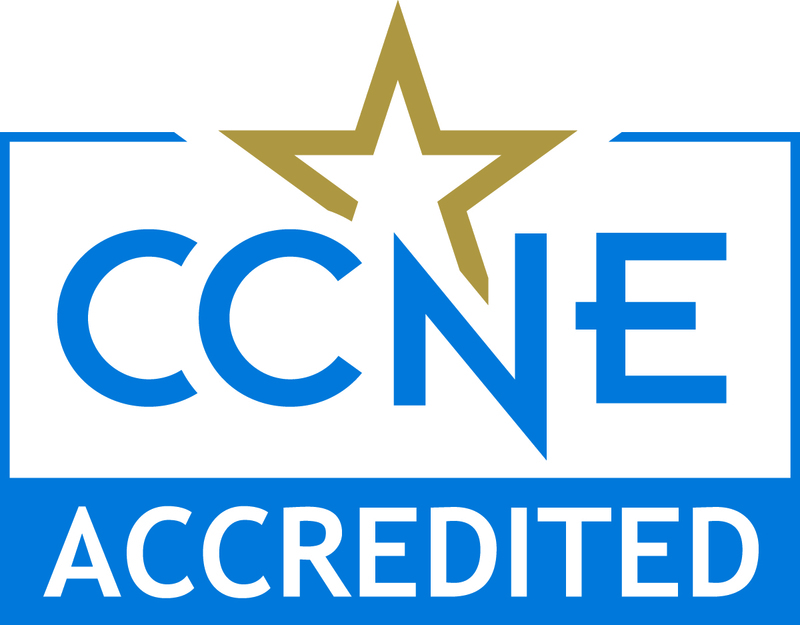 The baccalaureate degree in nursing (BSN) at Belhaven University is accredited by the Commission on Collegiate Nursing Education, 655 K Street, NW, Suite 750, Washington, DC 20001; (202) 887-6791 (http://www.ccneaccreditation.org). Division of Ministry and Human Services - The Belhaven University social work program is accredited by the Council on Social Work Education. The Department of Social Work report of assessment outcomes is available for download. 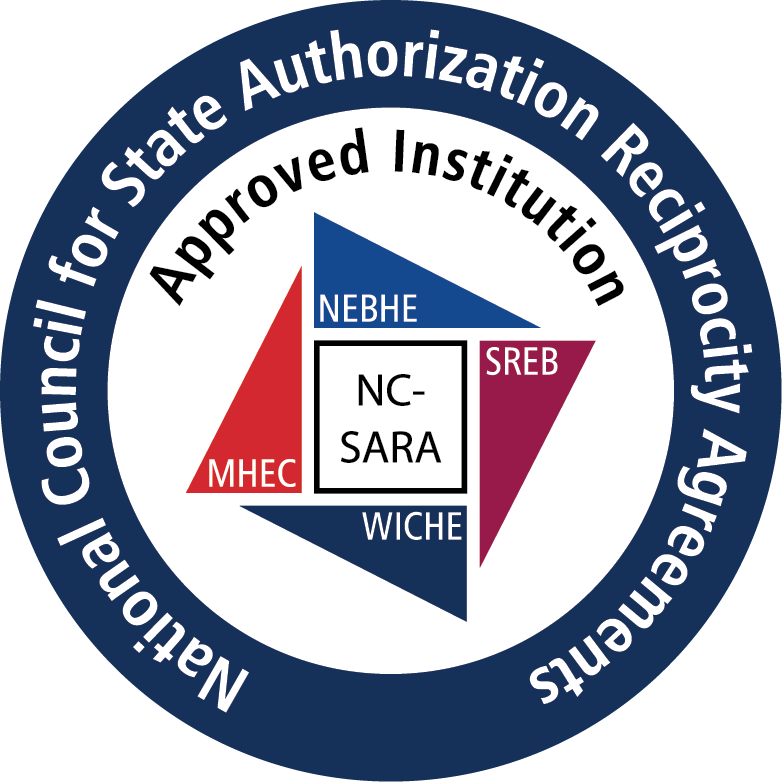 Belhaven University, through the Mississippi Commission on College Accreditation, participates in The State Authorization Reciprocity Agreement. This agreement allows Belhaven to offer distance programs and courses to residents of member states without seeking state-by-state approval, and is intended to make it easier for students to take online courses offered by postsecondary institutions based in another state. If you are an online student residing in a state not listed below please contact the Dean of Online Studies’ Office at 601-968-5942 for information regarding your state. Students in the online program with complaints not resolved at the institution level may refer to the Mississippi Commission on College Accreditation Student Complaint Process web site and the Student Complaint Form. Florida Licensure - Licensed by the Commission for Independent Education. Additional information regarding Belhaven University may be obtained by contacting the Commission for Independent Education, 325 W. Gaines Street, Suite 1414, Tallahassee, Florida 32399-0400, or by calling 850-245-3200. Florida Department of Law Enforcement (FDLE) sexual predator and sexual offender registry website and toll free telephone number. Georgia Licensure Licensed by the Georgia Nonpublic Postsecondary Education Commission. Additional information may be obtained by contacting the State of Georgia Nonpublic Postsecondary Education Commission, 2082 East Exchange Place, Suite 220 Tucker, Georgia 30084-5305, or by calling 770-414-3300. For Georgia Students: If a complaint is not settled at the institutional level, the student may contact the Georgia Nonpublic Postsecondary Education Commission (GNPEC) at 770-414-3300. Mississippi – Licensed by the Mississippi Commission on College Accreditation. Additional information can be obtained by contacting the Mississippi Commission on College Accreditation, 3825 Ridgewood Road, Jackson, MS 39211 or by calling 601-432-6372. Tennessee – Belhaven University is authorized by the Tennessee Higher Education Commission. This authorization must be renewed each year and is based on an evaluation by minimum standards concerning quality of education, ethical business practices, health and safety, and fiscal responsibility. Additional information regarding yearly authorization may be obtained by contacting the Tennessee Higher Education Commission, Parkway Towers, Suite 1900, Nashville, TN 37243-0830. For Tennessee Students: If a complaint is not settled at the institutional level, the student may contact the Tennessee Higher Education Commission at 615-741-5293. Texas – Belhaven University is approved by the Texas Higher Education Coordinating Board to offer the following degrees in Houston, Texas: Associate of Arts with major in General Studies, Bachelor of Arts in Social Services, Bachelor of Business Administration with major in General Business, Bachelor of Healthcare Administration, Master of Business Administration with major in General Business, Master of Education, and Master of Science in Leadership. Belhaven University is a member of the Mississippi Association of Independent Colleges, the Association of Presbyterian Colleges and Universities, the National Association of Independent Colleges and Universities, and the Council for Christian Colleges and Universities.